I made this Sumptuous Fur farming guide to help out players who want to farm the cloths(furs) instead of buying them from the Auction House. I decided to search for places with high density of mobs which I can kill and drop [Sumptuous Fur]. 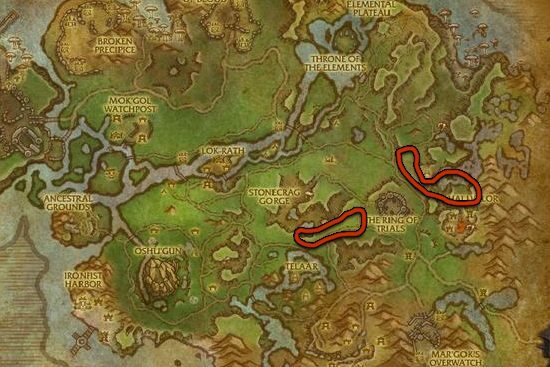 I traveled around Draenor, and after a while I made a list of places. As you can see, the new material that tailors use in Warlords of Draenor is actually fur and not cloth. This means it's not dropped only by humanoids anymore as we have seen in previous expansions. Sumptuous Fur is dropped by beasts with fur, and from humanoids with fur. So, if you have skinning, it's highly recommended to farm beasts for fur because you can skin them after you loot the furs. There is a place in Nagrand where you can find a pack of Tamed Clefthoof, and when you kill all of them, one or two new one will spawn instantly. So, basically you don't have to travel around, you can stand in one place and kill these mobs. Note: There is two extra Tamed Clefthood near the Gorian Gladiators, and sometimes you have to kill those too to force a respawn. 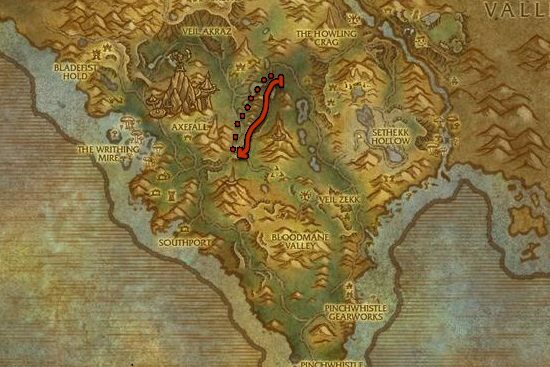 Kill Steamscar mobs at the middle of Gorgond, or Tailthrasher mobs at south Gorgond. There is not much difference between these two places. 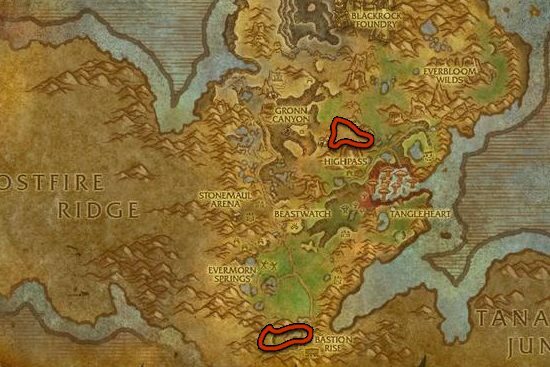 Kill Daggerjaw mobs at the two marked places. 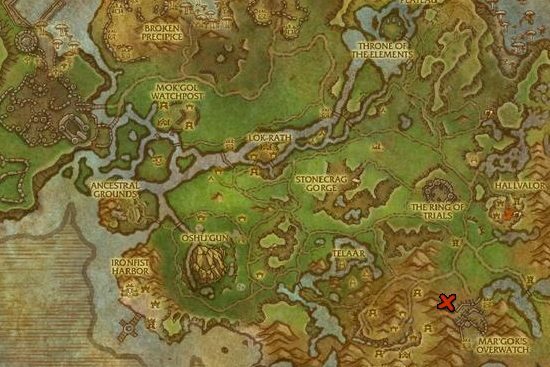 The respawn rate is really fast so you can farm at both of these places without downtime. 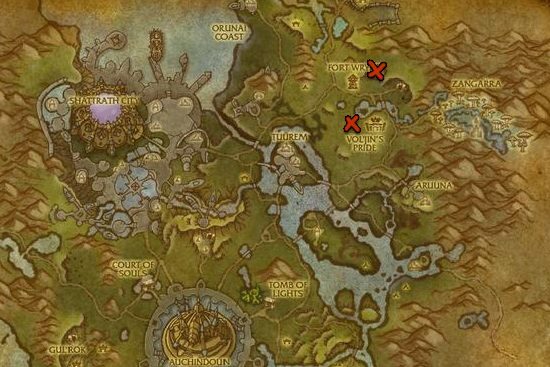 I prefer to farm at the small lake north of Vol'Jin's Pride because you can just do laps around the lake and most mobs will respawn after one lap. Echo Hunters (beasts) at Spires of Arak is a great place to farm, and these are beasts so it's recommended for players with skinning. You will farm between two small camps, so you can use the flight master to fly between the two. 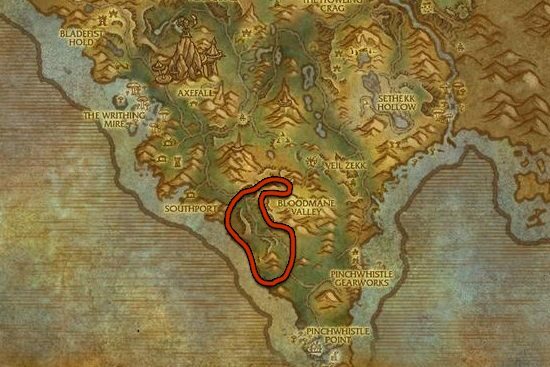 Kill Bloodmane mobs at the marked area.